Blueberry Raspberry & Apple Tart, topped off with Wild Blueberry Sauce, amazing texture and flavor. 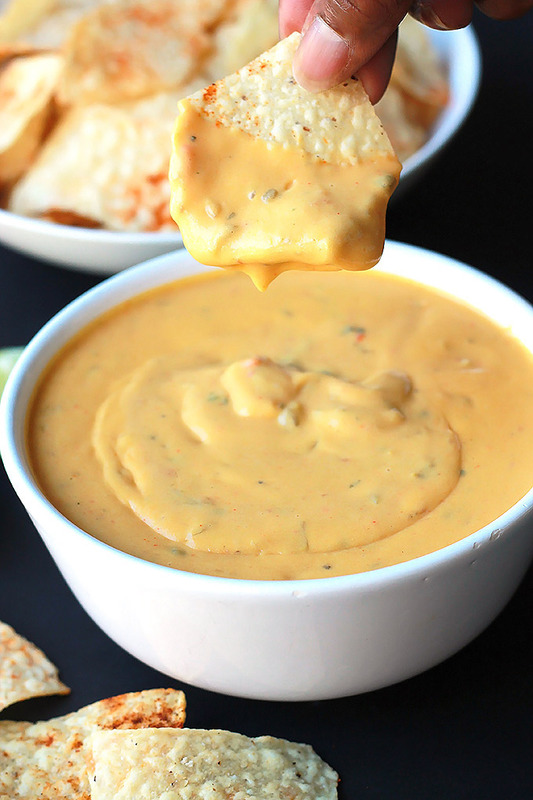 Perfect for summer holiday gatherings. 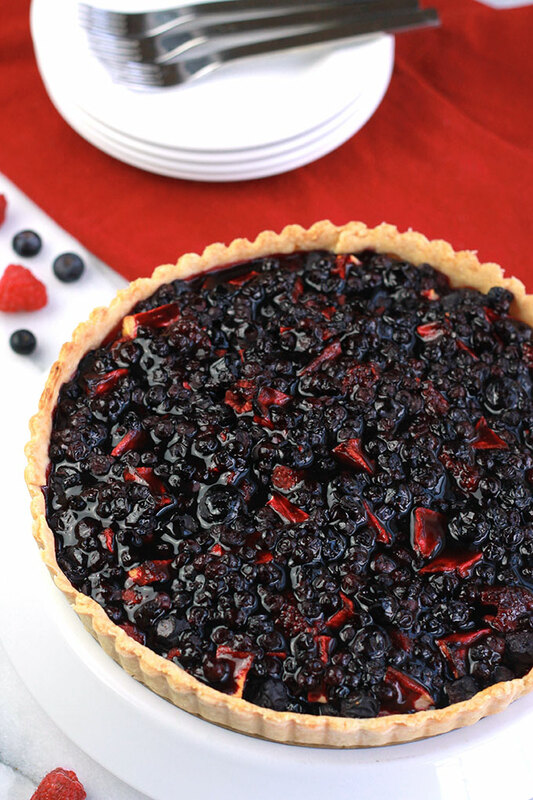 I love eating berries, by the handful, over cereal, yogurt or ice cream, but in honor of the 4th of July I created this Blueberry Raspberry & Apple Tart. Guess what?, it’s easy to make. The crust comes together really fast, but you can easily use a pre-made crust. 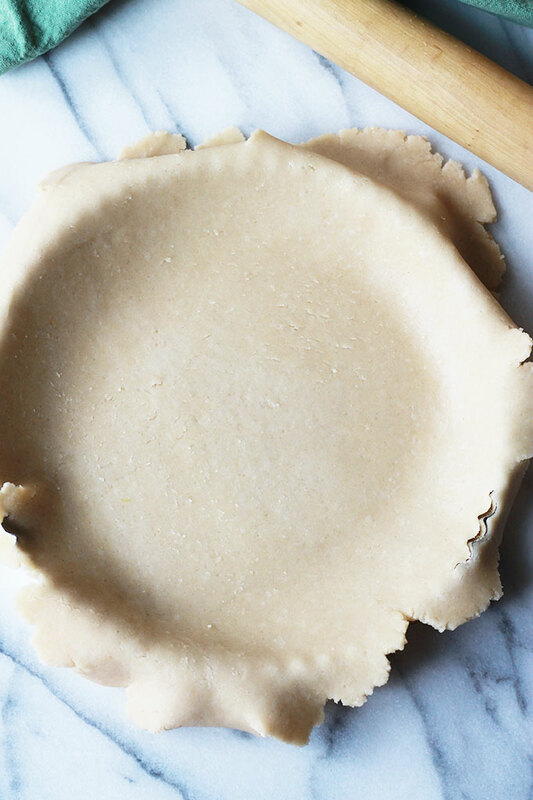 When baking your tart crust I highly recommend using a two-part tart pan. 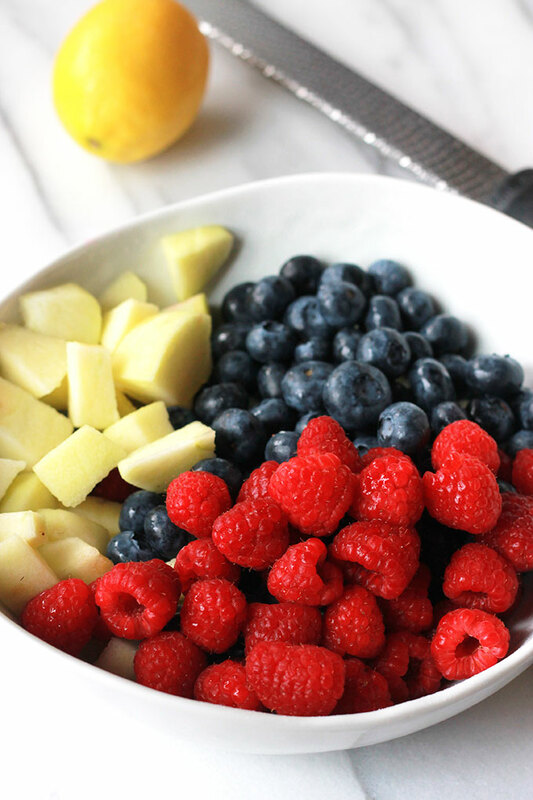 Toss together the fruit with fresh lemon juice and zest. Sweeten with maple syrup, agave or cane sugar. 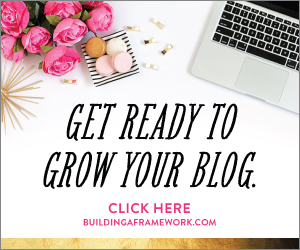 I chose to sweeten with a couple tablespoons of agave, which created a lightly sweetened tart. If you like a sweeter tart, you may want to use a combination of agave and cane sugar or just simply sweeten to taste with cane sugar alone. Finally stir in flour to help thicken the juice as it cooks. After cooling a bit, spread the top with some Wild Blueberry Sauce and serve plain or with a scoop of frozen yogurt or ice cream. A bit of advice, make more than one, it’s so delicious it won’t be around long. Place flour, sugar and salt in the food processor. Cut the butter into small cubes, add them to the flour and process using rapid off-on pulses, until mixture resembles small particles. Add 1 tablespoon of the water and process a couple of seconds. Add another tablespoon of water and pulse. Feel the dough, it should be damp enough to form a tough mass, not too wet. Add a few more drops of water if necessary. Transfer dough to a floured work surface and work into a round. You can use the dough right away or chill before rolling out. When you are ready, preheat oven to 425 degrees. Roll the dough on a floured work surface into a ⅛ to ¼ inch thick and 11 to 12 inch diameter. Drape the rolled dough over your rolling pin and transfer to tart pan. Gently pat the overhang in around the bottom of the pan and trim off the remaining overhang. Prick the bottom of crust with a fork, line with parchment and pie weights or beans and blind bake for 10 minutes. Hand Method: Combine flour, sugar and salt in a large mixing bowl and whisk together. Cut the vegan butter into small cubes and add to bowl. With your fingertips or pastry blender, blend until mixture resembles small particles. Add one tablespoon of water to flour and mix into flour. Mix in another tablespoon of water and mix well. Dough should be damp enough to come together between your fingers, but not sticky. Add in more water if necessary, or more flour if dough is too wet. When dough is the correct consistency, proceed with step 4 from above. While crust is baking mix together the fruit, lemon juice, zest, your choice of sweetener, and flour in a large bowl. 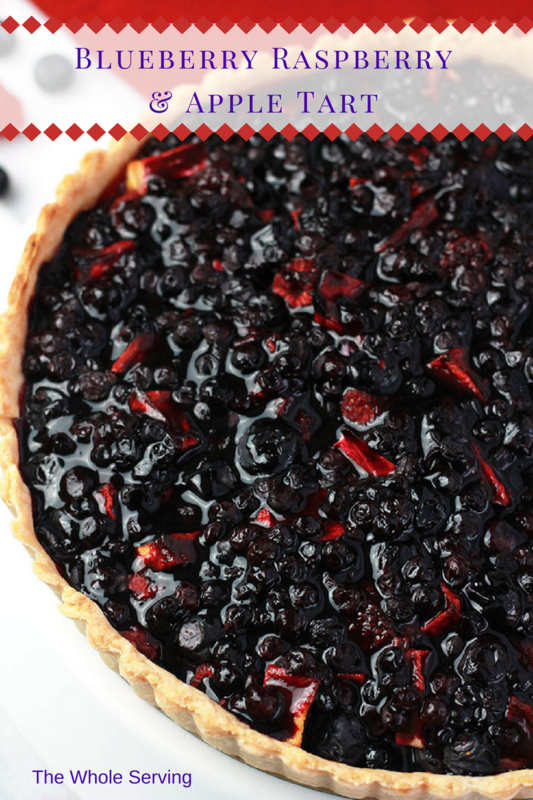 When crust is ready, spread fruit mixture in tart crust. 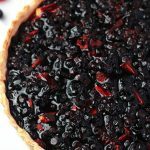 Bake tart for 30 to 35 minutes or until crust is golden brown. 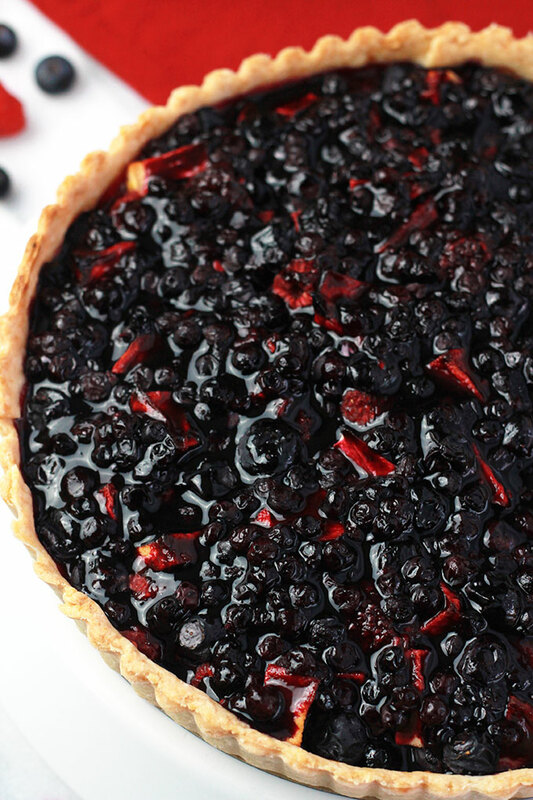 Allow tart to cool slightly before spreading the top with Wild Blueberry Sauce. When ready, simply slice and serve as is or serve with frozen yogurt, ice cream or a dollop of whipped topping. 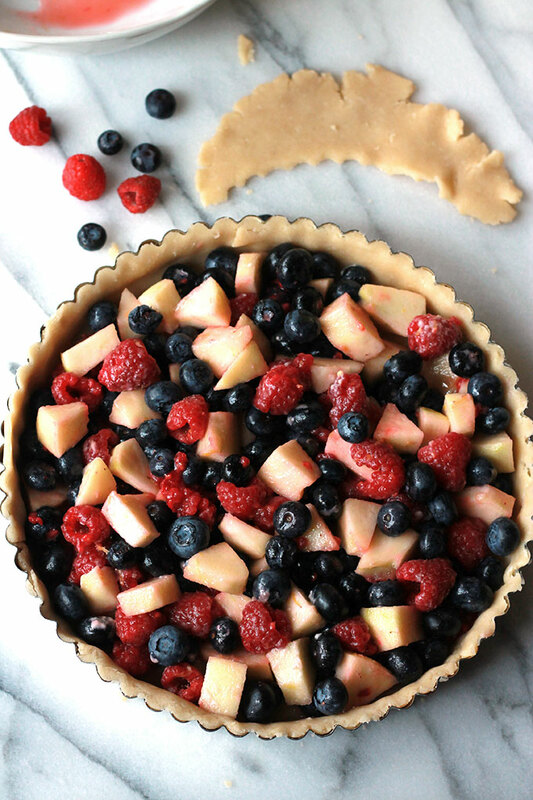 If you make this recipe take a picture and tag @thewholeserving on Instagram and hashtag it #thewholeserving, I want to see your version of Blueberry Raspberry & Apple Tart. We love summer fruits around here, and it’s always a challenge to keep from eating them all before making fun desserts. I’ve never combined all of these together though, and I’m thinking I totally need to know! 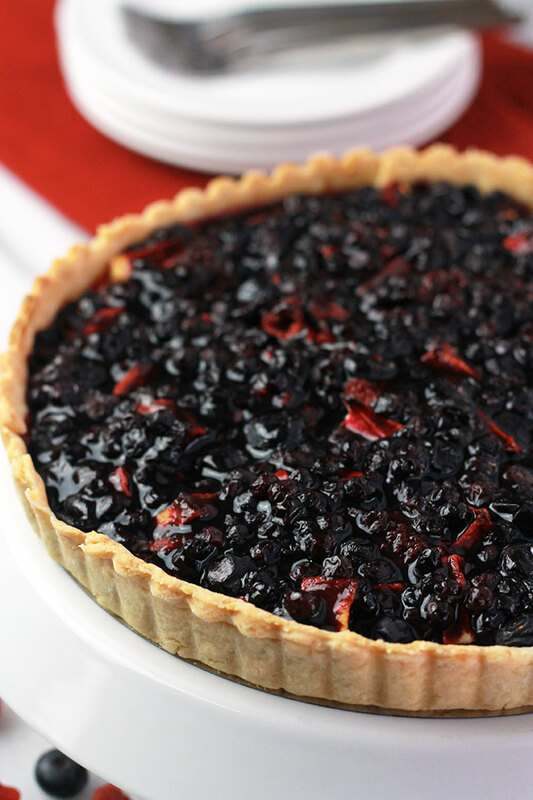 This tart sounds perfect for these warm days! Thanks David, I must say it was hard not to eat the entire tart myself. So delicious.